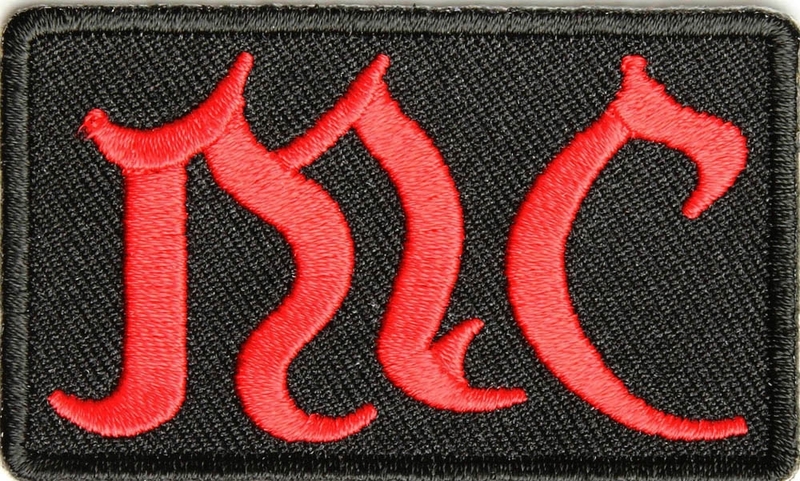 MC Patch stands for Motorcycle Club. The iron on patch measures 2.5x1.5 inches. Embroidered in red over black twill with Old English style Lettering.